This painting is loud and proud, just like the man himself! 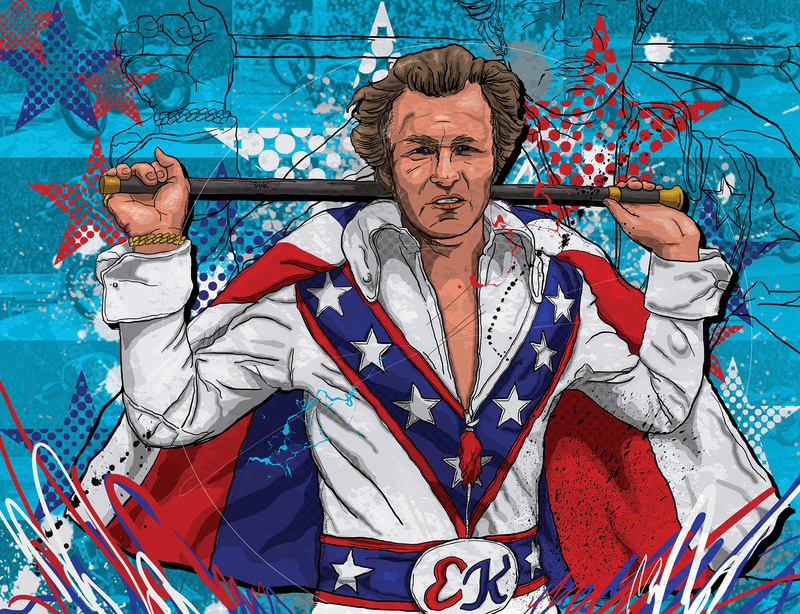 Evel embodied the late sixties in America: reckless, wild and innocent! He was crazy and calculated, the the hero of every boy at that time. There is a great book written about him by Leigh Montville called, Evel. I used two different images for this painting. The first is his him before he jumped Snake River Canyon. The second was a film strip of his spectacular wreck at Whembly Stadium. I added the cape because all bad-asses wear capes!